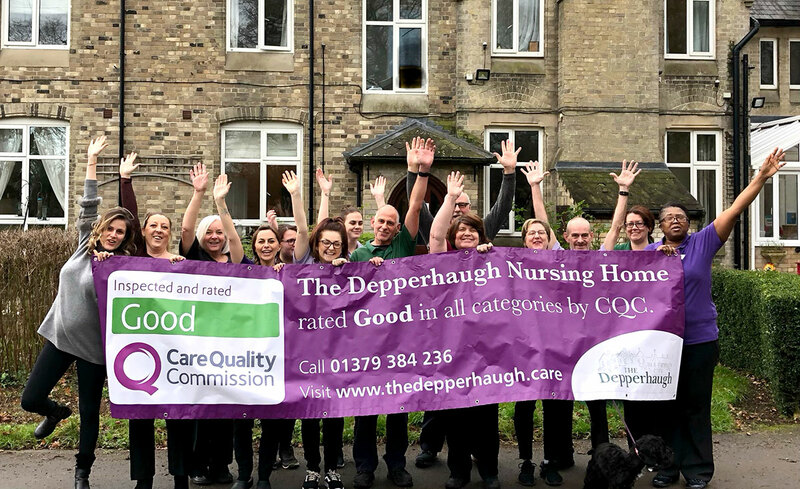 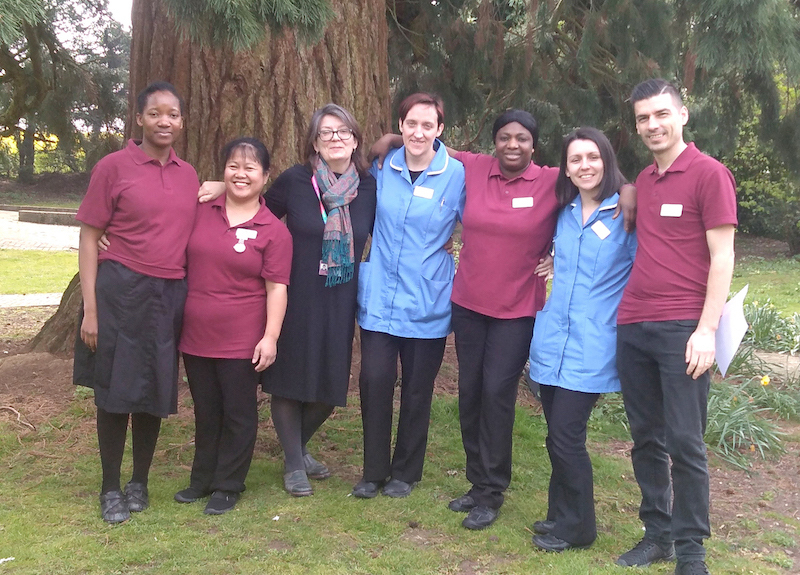 The dynamic new management team at Downham Grange care home has really given residents paws for thought. 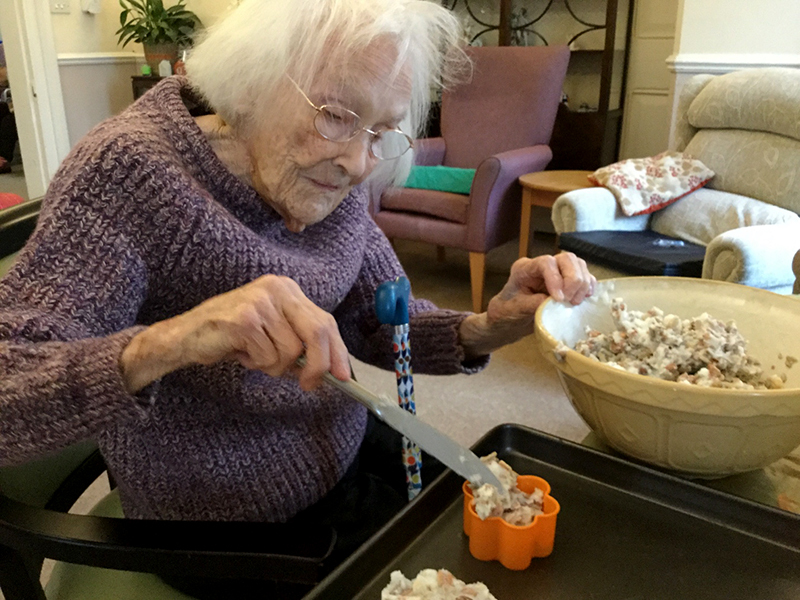 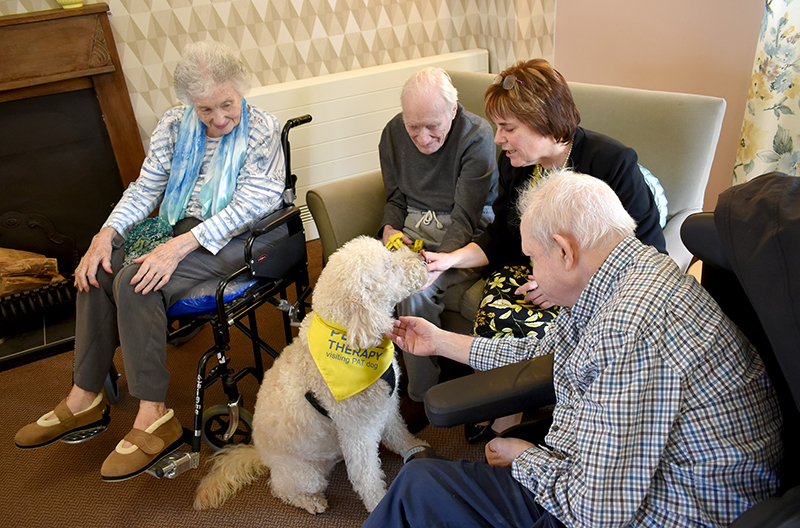 Pet therapy is a recognised way of calming and lifting the mood of people living with dementia. 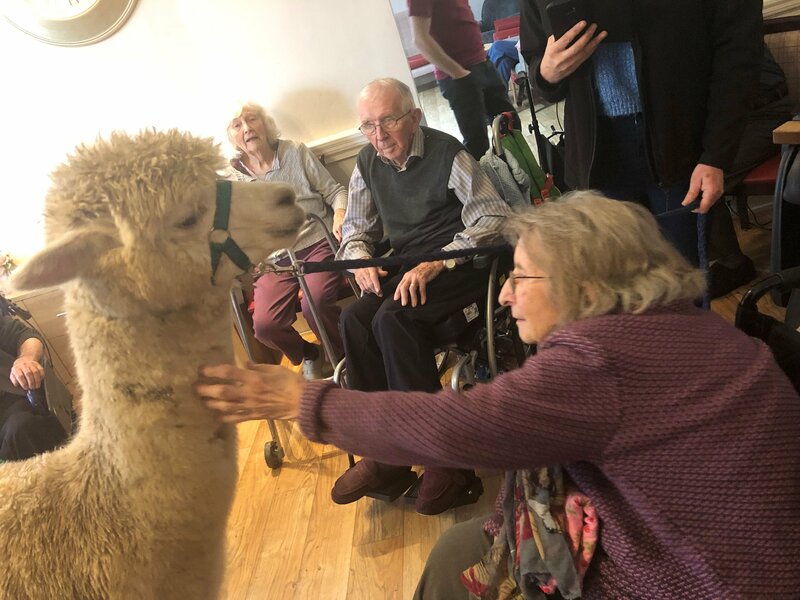 Dogs, birds of prey and even donkeys have become regular visitors to care homes, dispensing their animal magic through contact with residents. 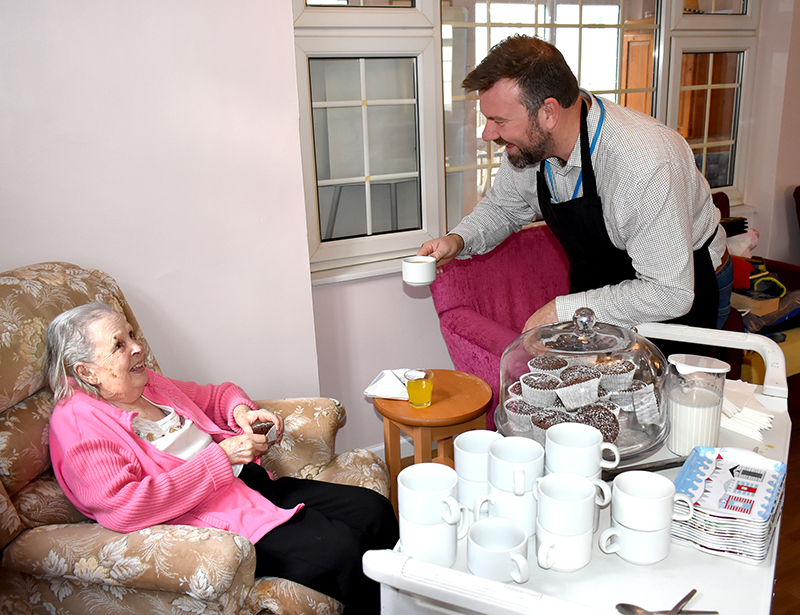 Eight months into his term as Mayor of Woodbridge it was certainly the first time David Mortimer had been asked to dance while shaking pink pom-poms.